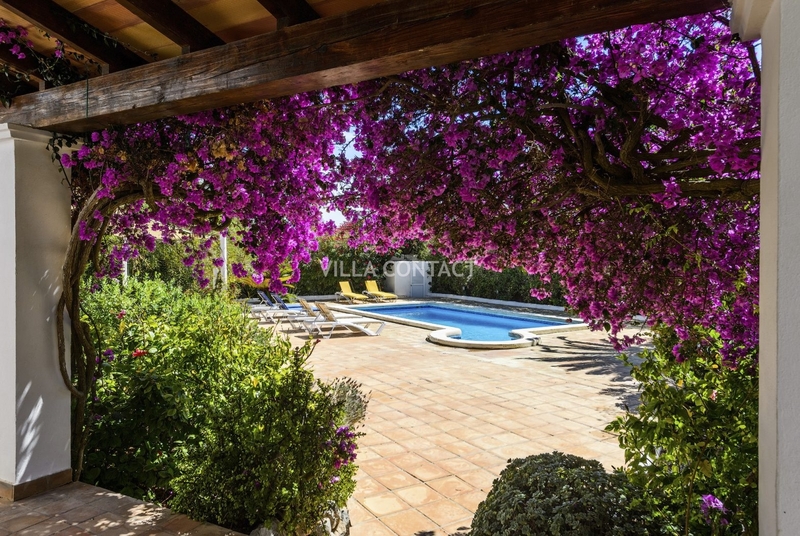 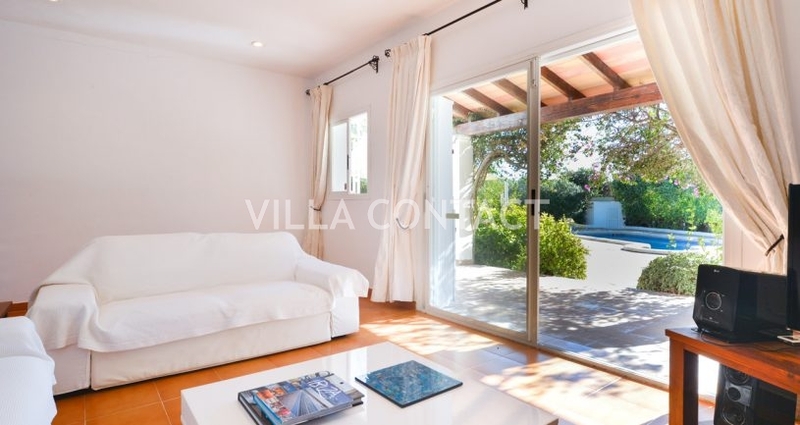 Villa Es Cavallet is a lovely mediterranean summer villa with 4 bedrooms and 4 bathrooms with a private pool located in within the natural reserve of Las Salinas. 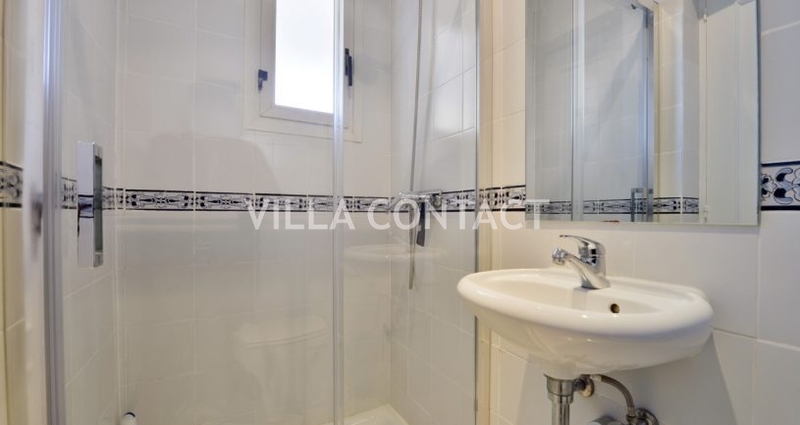 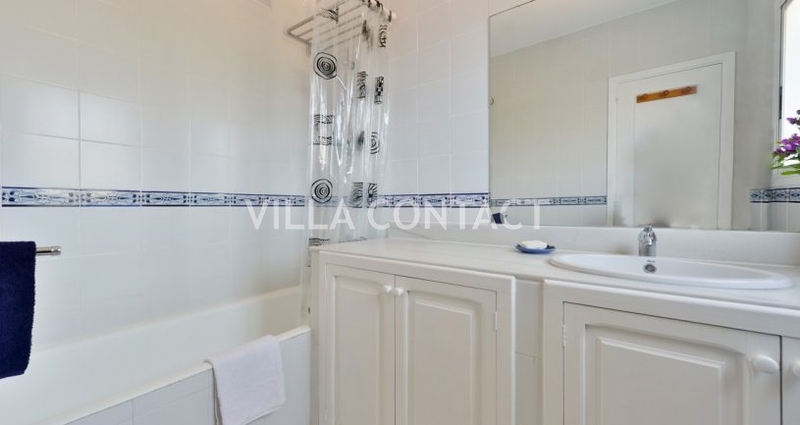 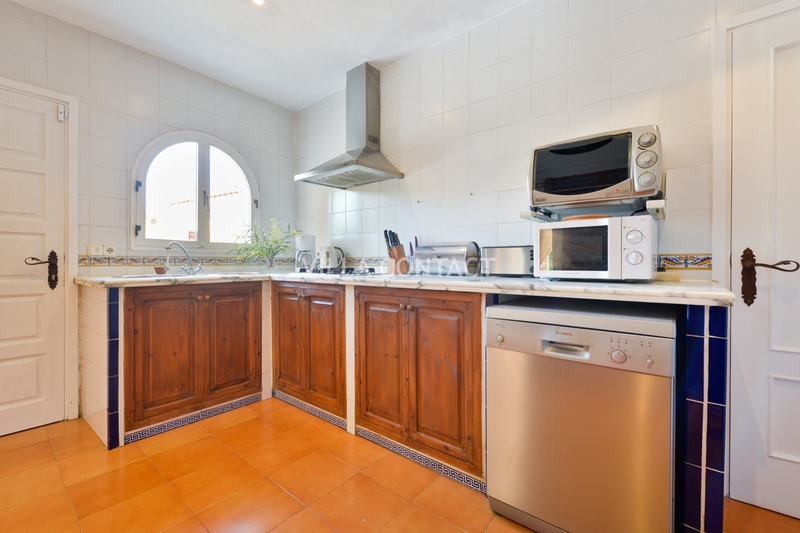 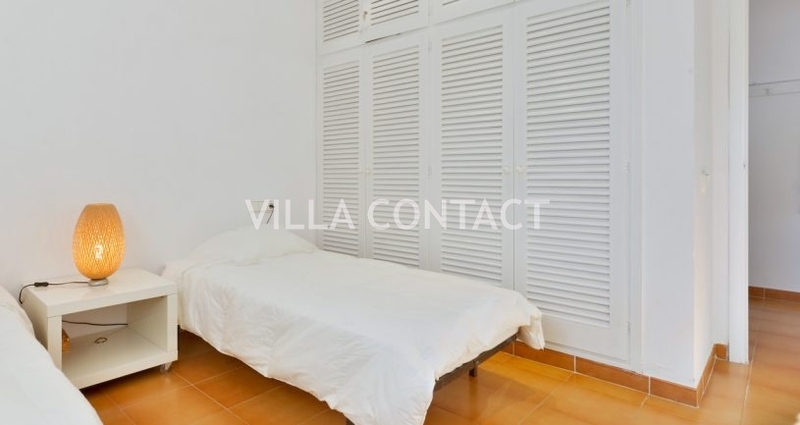 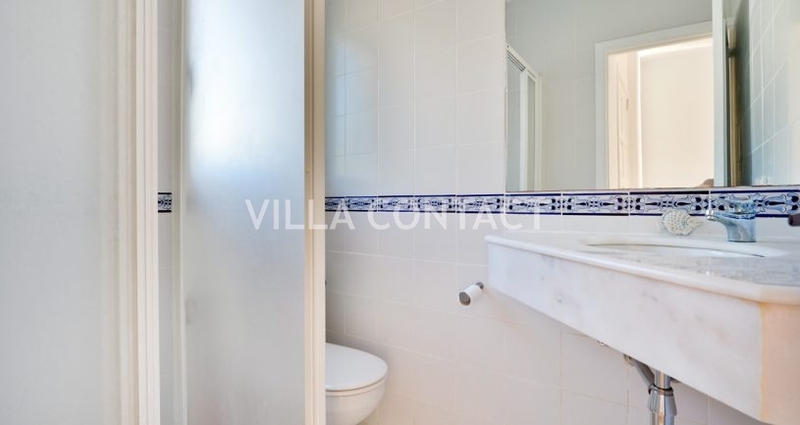 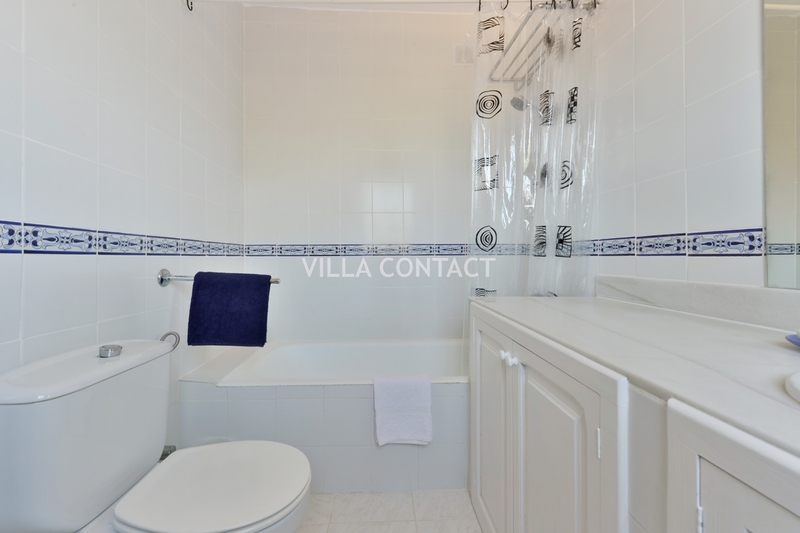 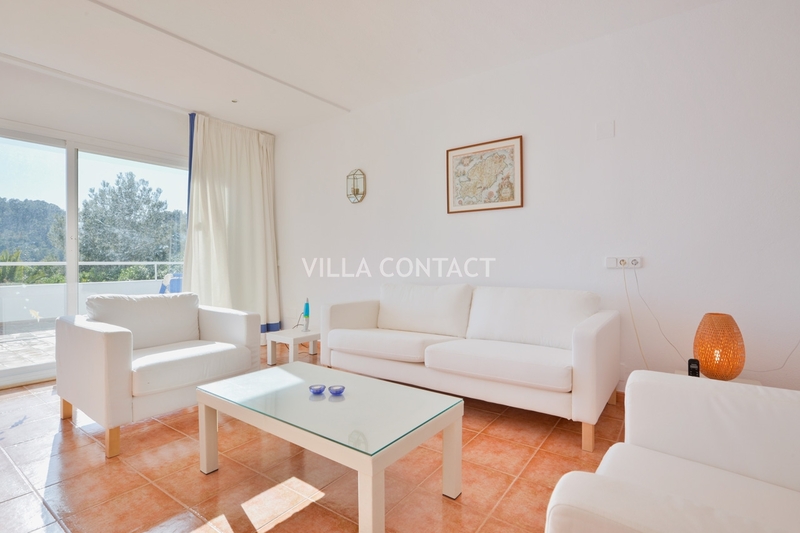 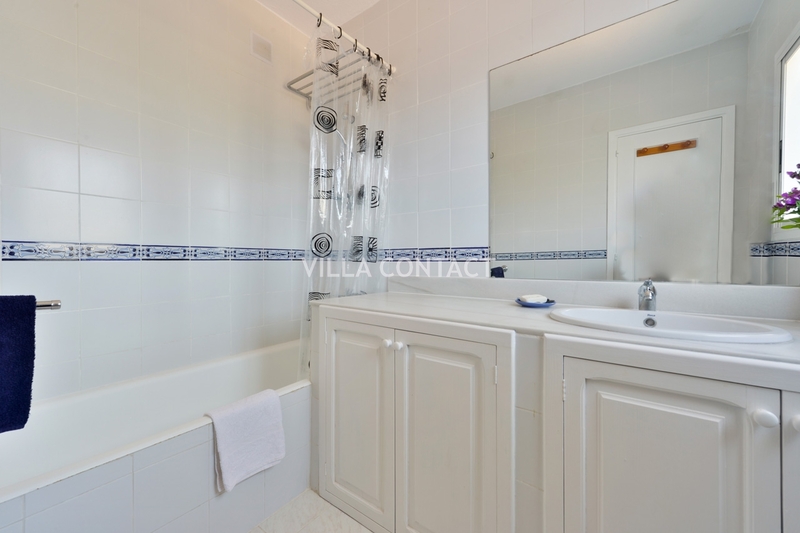 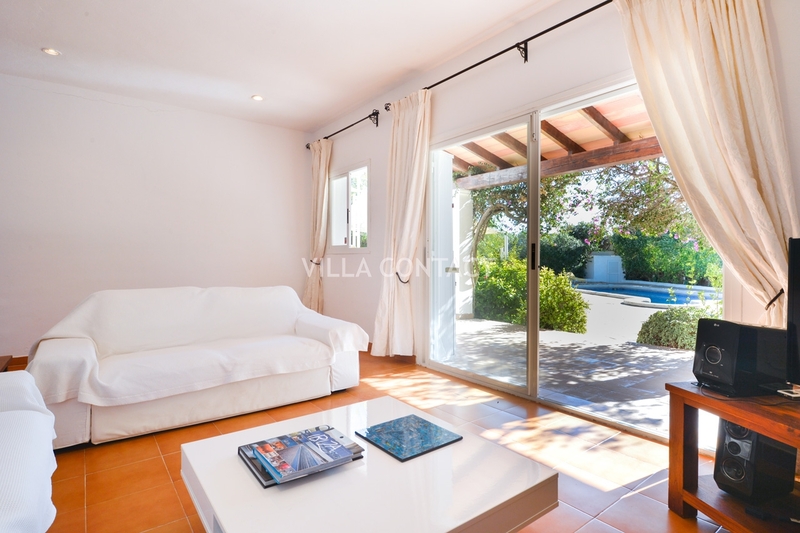 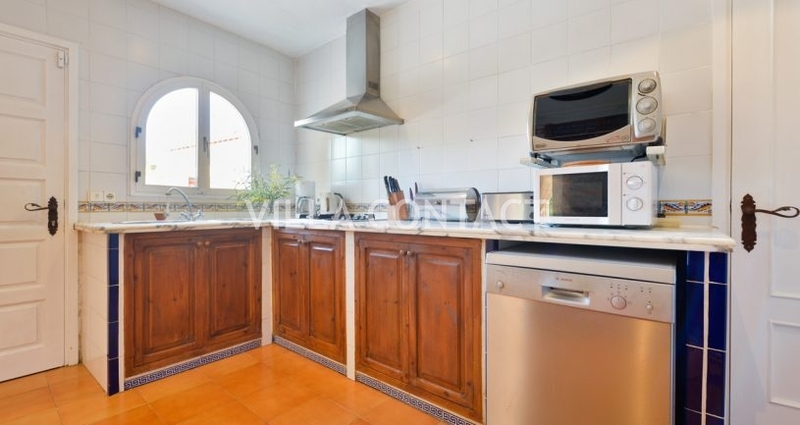 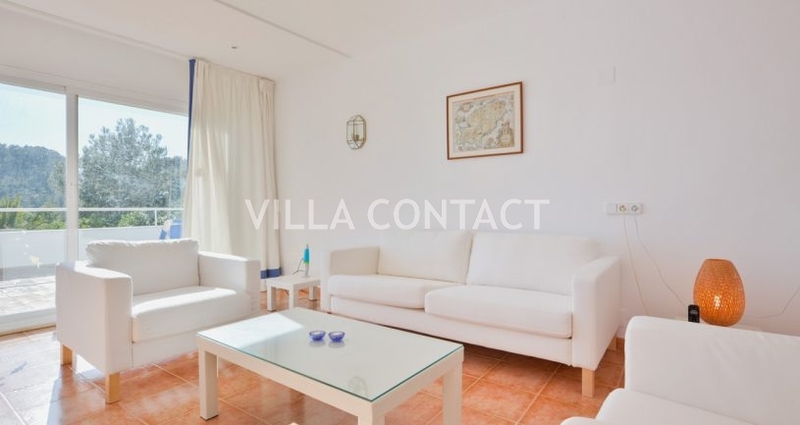 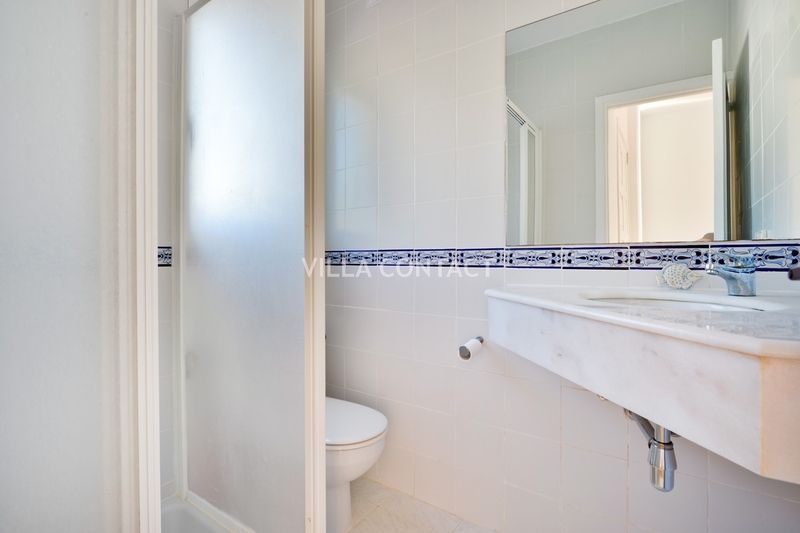 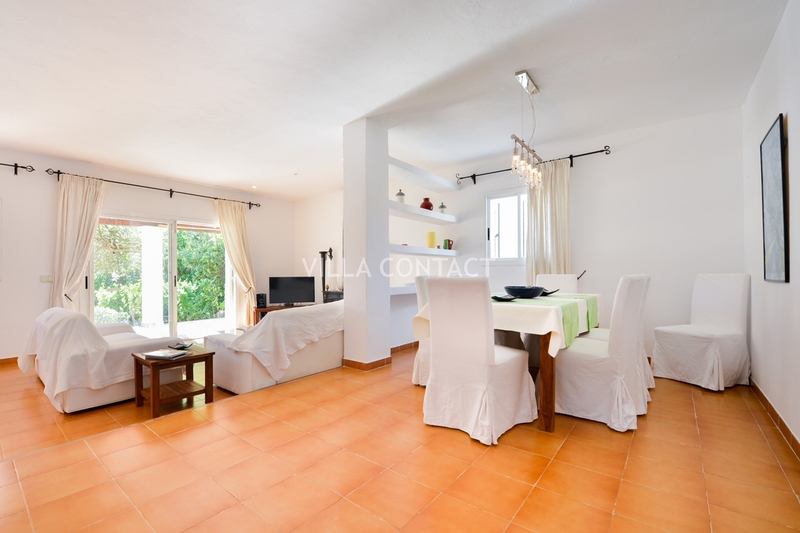 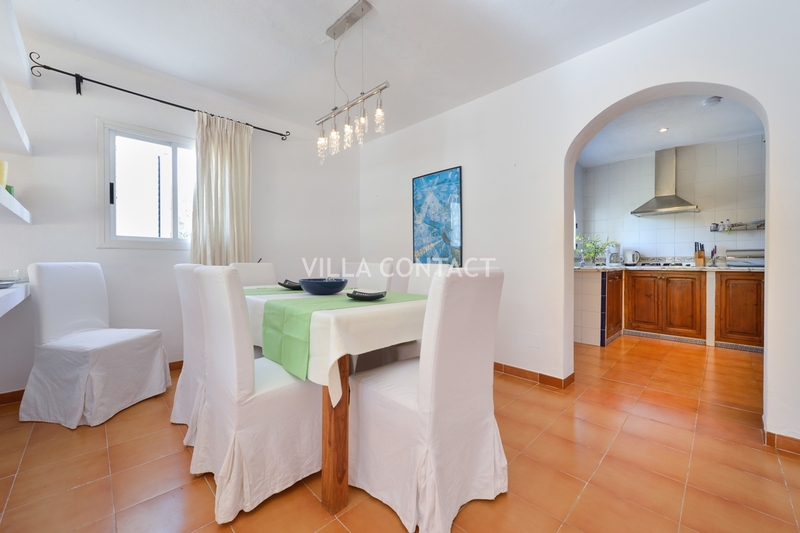 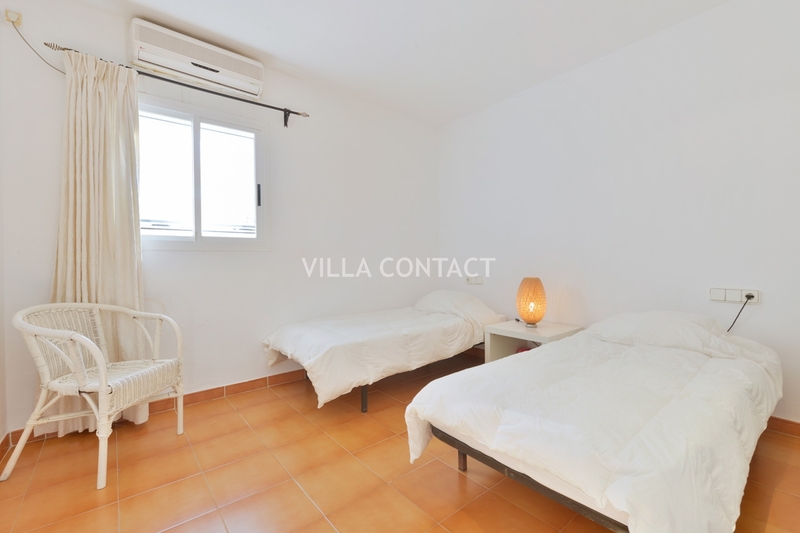 This villa is set across two floors with 2 spacious bedrooms and 2 bathrooms on each level. 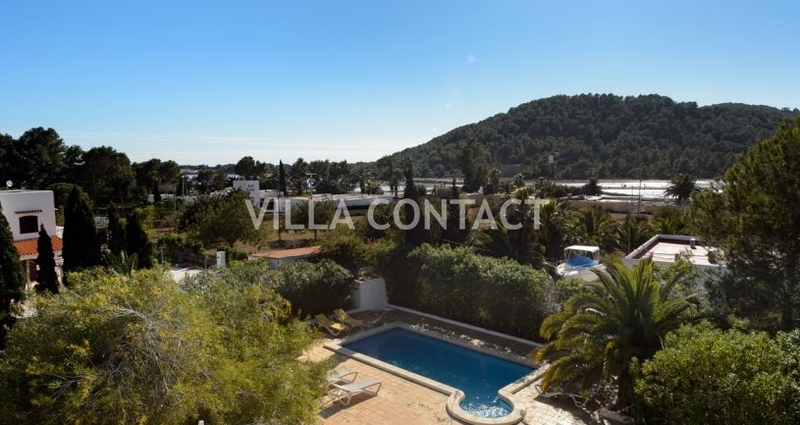 The top floor is accessed via an exterior staircase that leads down to the pool area and is in many ways like separate apartment with a living room and its own roof terrace. 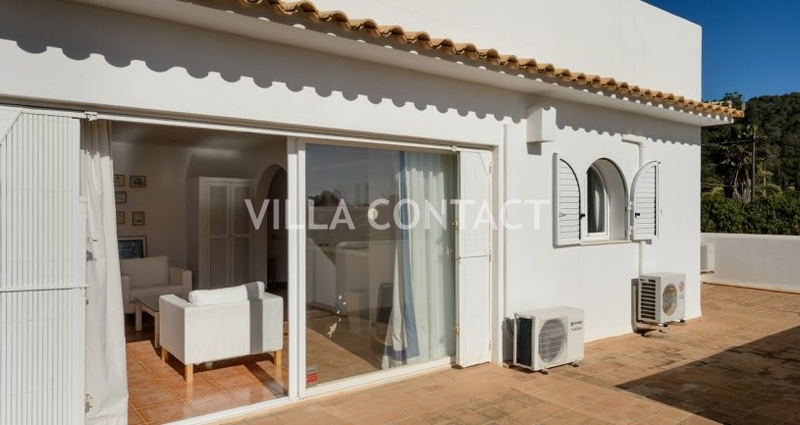 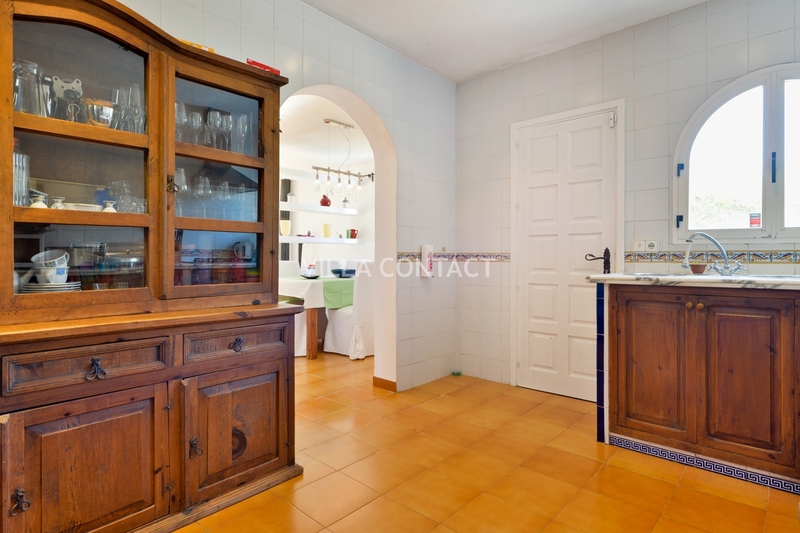 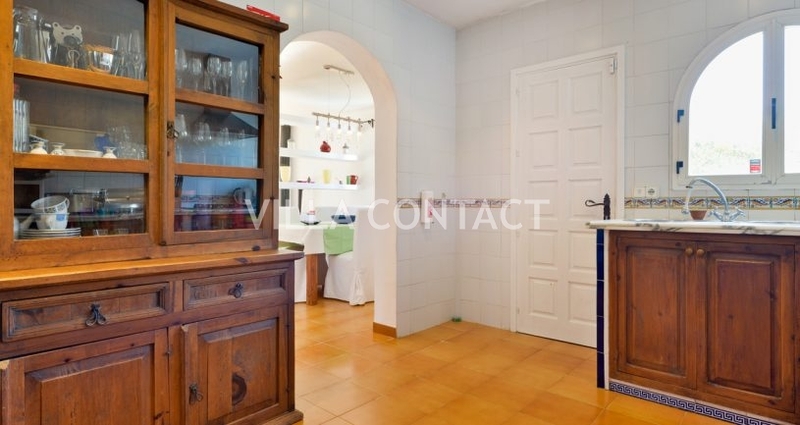 On the ground floor there is a separate kitchen and living room / dining room that opens out onto a covered terrace with a large dining table seating 8 people. 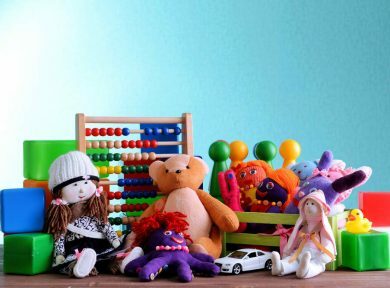 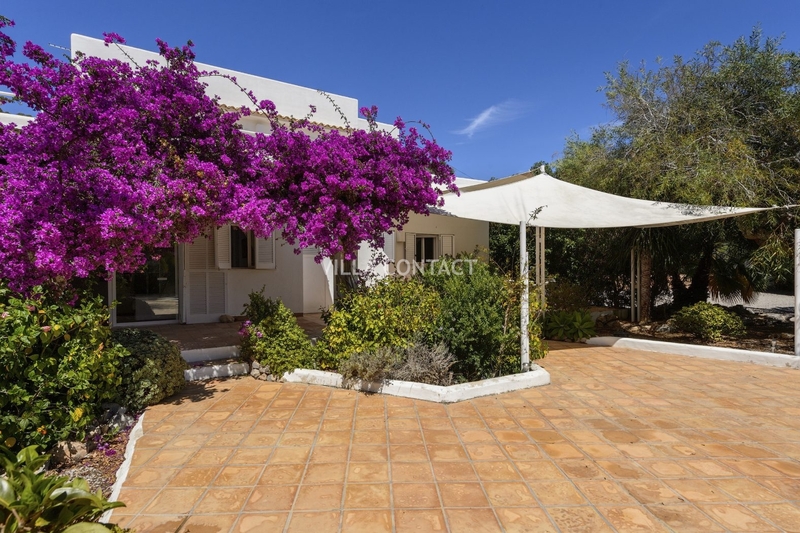 The pool and outdoor terraces are situated near the property making this property an ideal choice for families with young children. 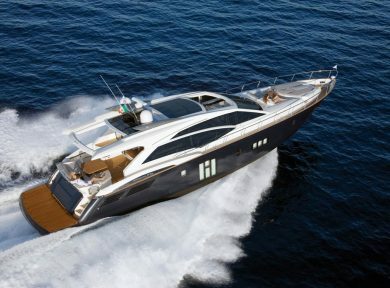 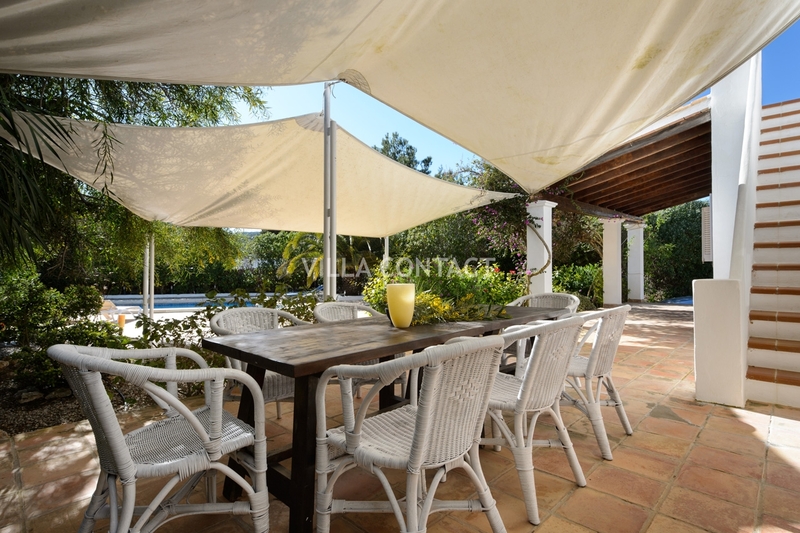 The pool area and garden has a south orientation and enjoys sunshine throughout the whole day. 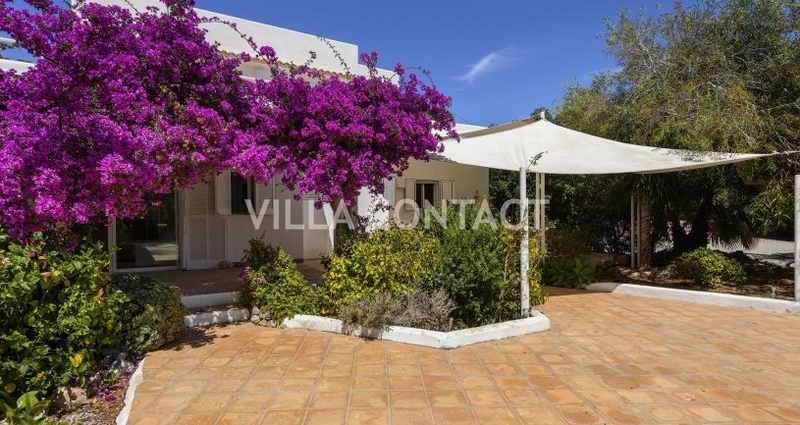 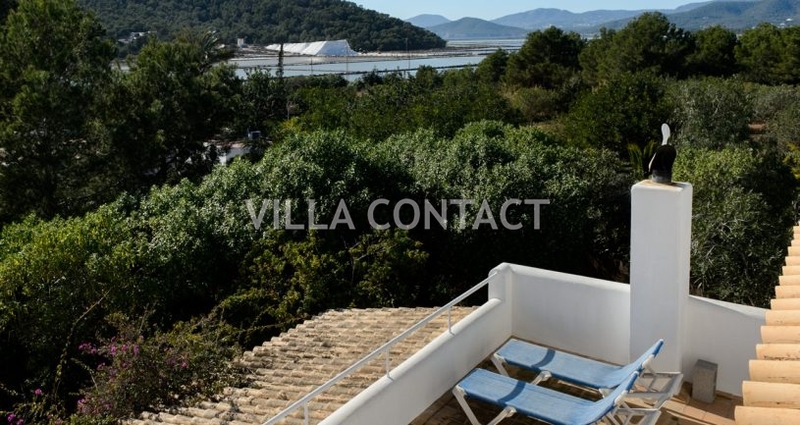 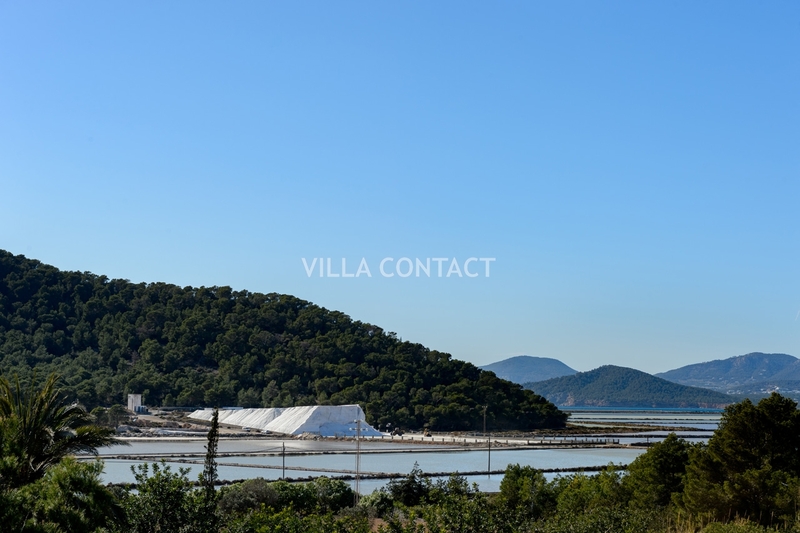 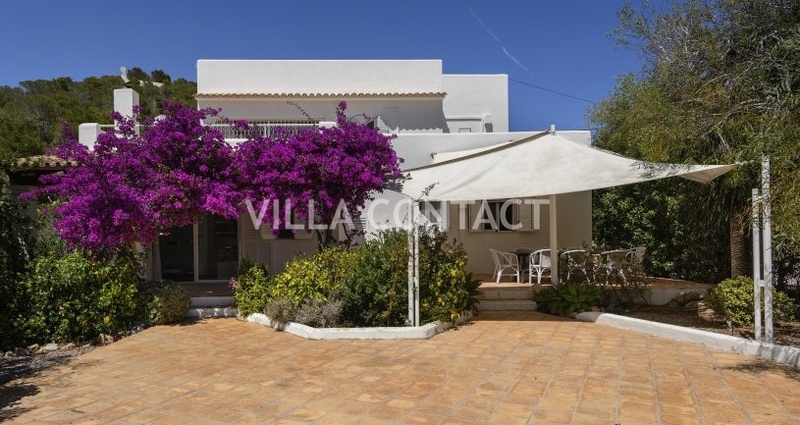 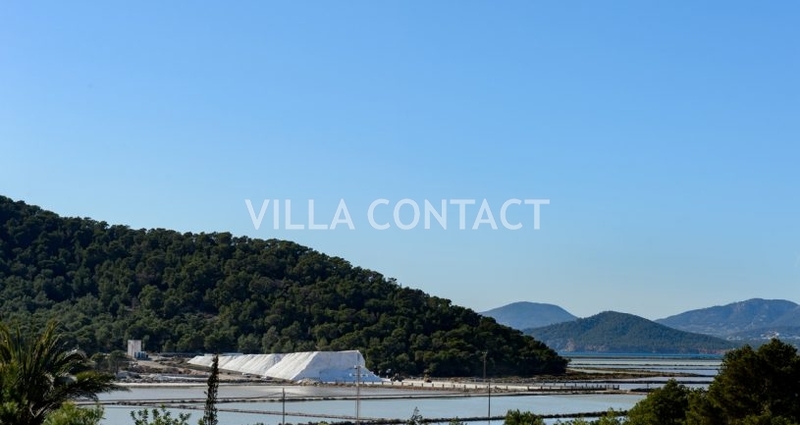 The villa grounds are fully fenced and secure and benefit from absolute privacy from other neighbouring properties. 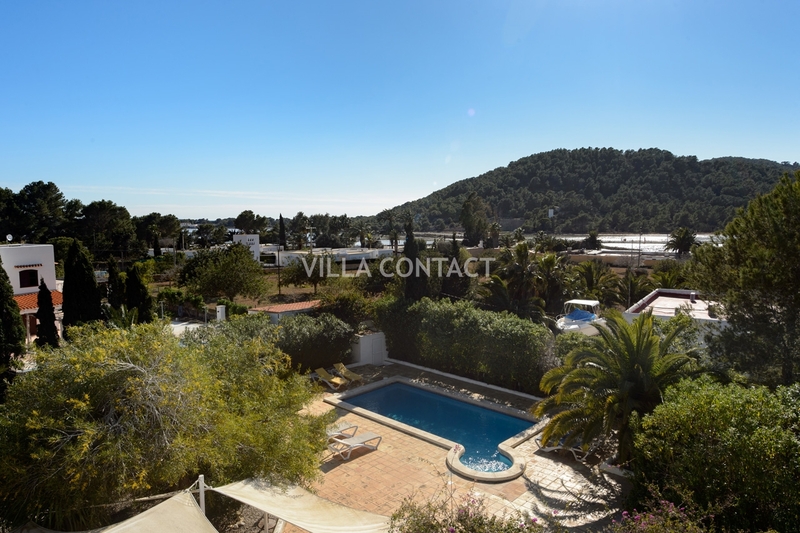 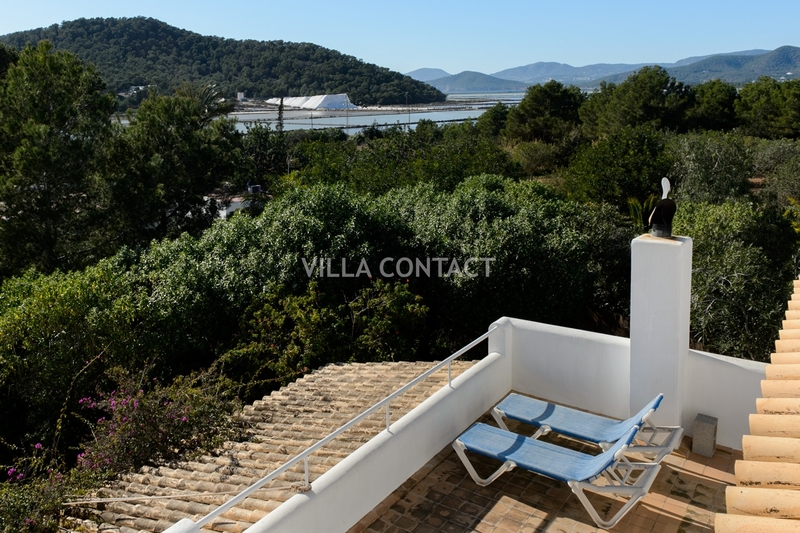 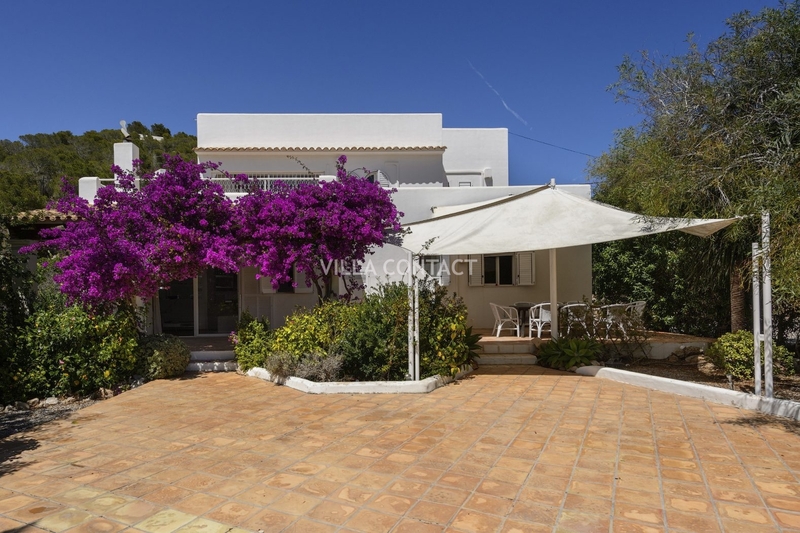 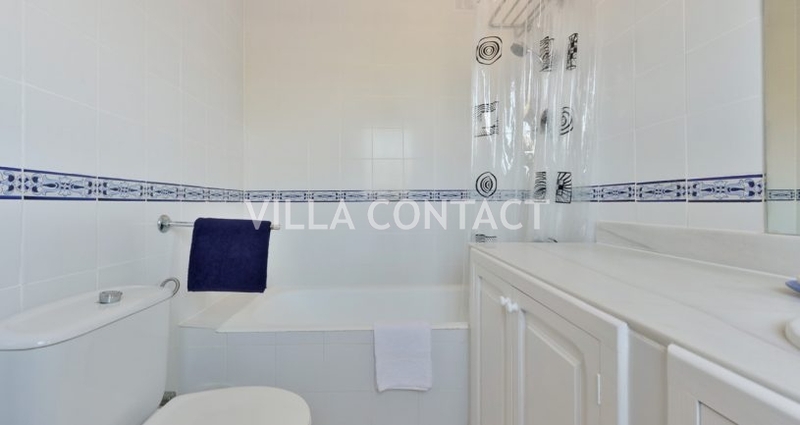 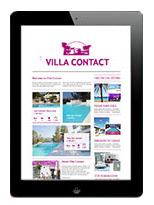 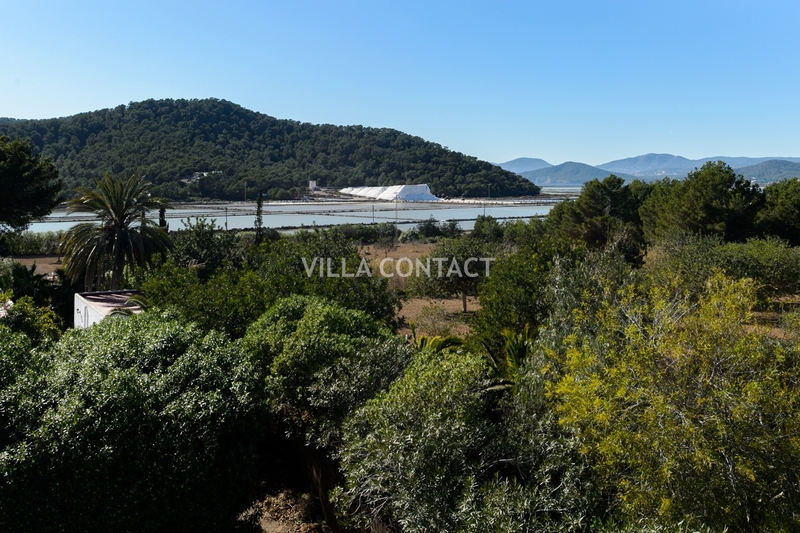 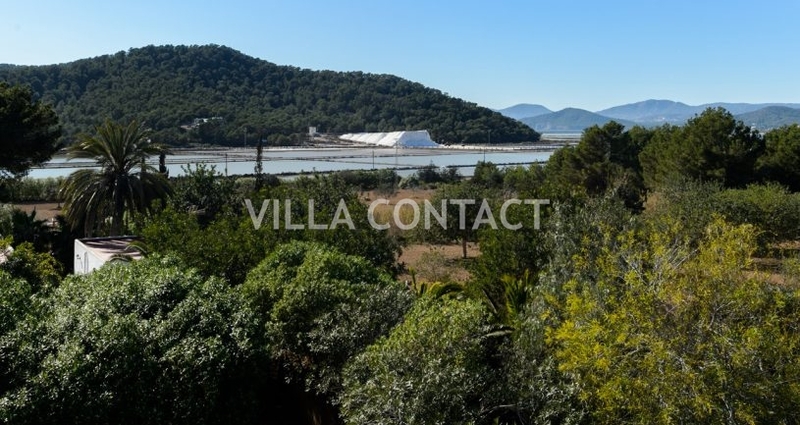 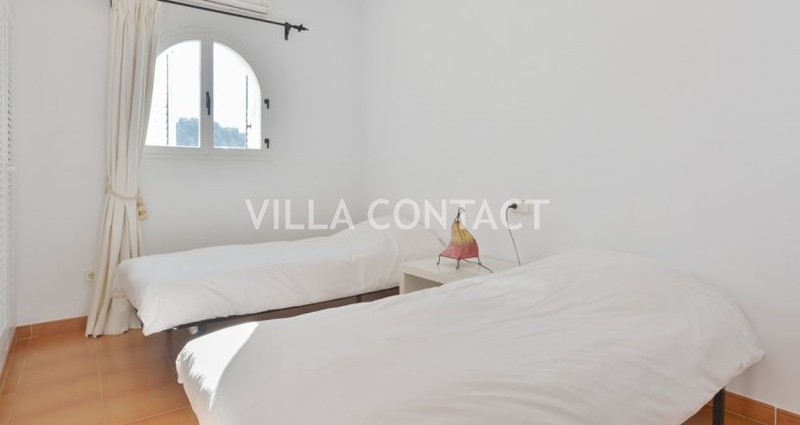 Villa Es Cavallet is located a short walk away from the beaches of Las Salinas and Es Cavallet and the various popular restaurants such as El Chiringuito and Sa Trinxa and is a short drive away from Ibiza Town.